Click Here To See Captain America #20 Comic Book! 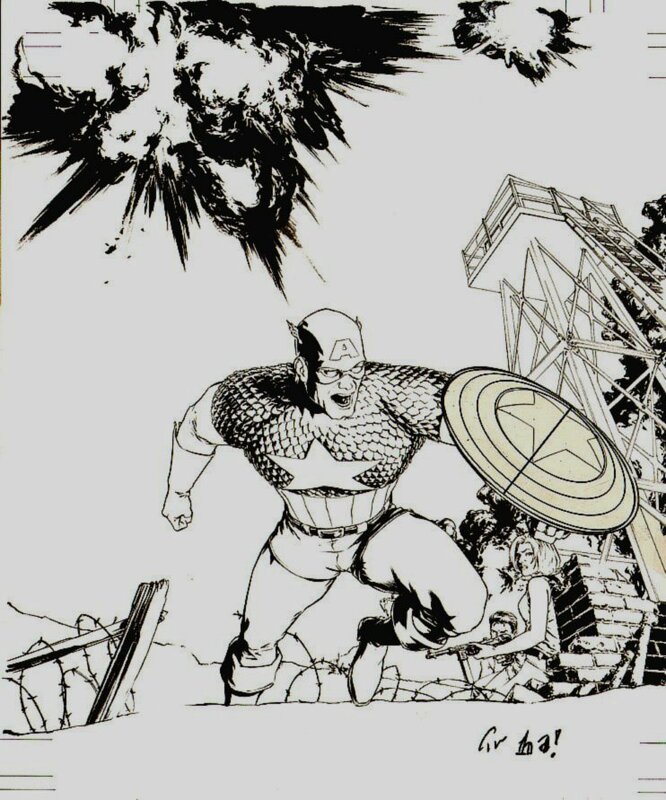 Check out this very cool LARGE ART size Captain America cover, which was penciled and inked by the great Gene Ha, from the story titled: "Captain America Lives Again Chapter Four!" This nice cover features Captain America battling during World War 2 as he leaps over barbed wire with bombs blasting away! 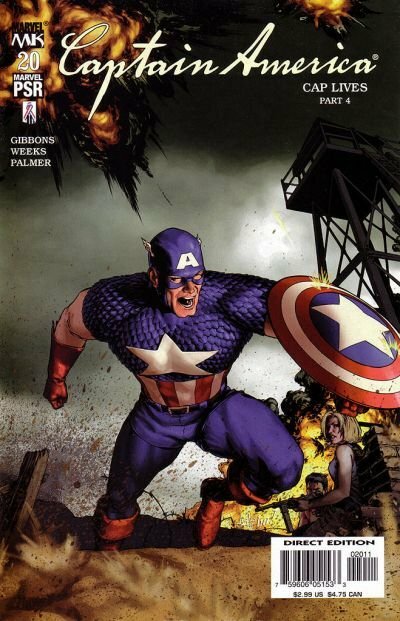 The circles inside Cap's shield were drawn on a piece of acetate and placed perfectly onto the cover. Art has an actual DRAWN image area measuring 14 by 15.5 inches! Just a great opportunity to own a great Cap COVER! Compare this nice cover art to the published comic book in the red link above, COOL!